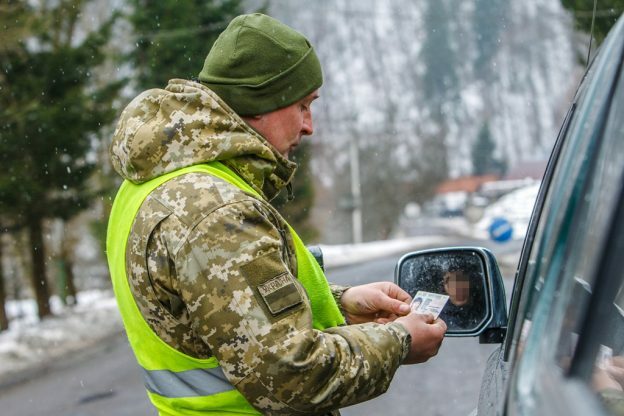 During the inspection of passengers from the train “Kiev – Vienna” the border guards had doubts about the validity of an Italian citizen’s passport. During further in-depth study of the document the law enforcement authorities have established that the document provided for control doesn’t belong to the bearer. The foreigner, who insisted to be Italian and owner of the passport presented, was detained and transferred to the Temporary Detention Center of the Chop Border Detachment. After identification, he will be brought to administrative responsibility under Part 1 Art. 204 – 1 of the AICU “Illegal cross or attempt to cross illegally the state border of Ukraine”. In addition, a notification was forwarded to Uzhhorod Department of the National Police in the Transcarpathian region about the signs detection of the criminal offense under Part 3 Article 357 of the Crime Code “Kidnapping, misappropriation, extortion of documents, stamps, seals and taking them by fraud or abuse of office or their damage.” The invalid passport was handed over to employees of the National Police for examination. This entry was posted in Translated Media-News from Ukraine on January 29, 2019 by oksana.